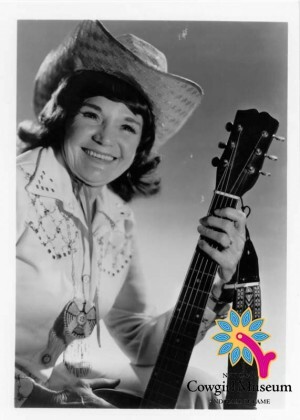 Patsy was the first woman to sell a million records with “I Want To Be A Cowboy’s Sweetheart.” The eleventh child and first daughter of an Arkansas farmer, Patsy learned to yodel and play the organ, guitar and violin. Beginning her career in radio in California, she worked rodeos and country programs with the Prairie Ramblers and the Sons of the Pioneers. She wrote more than 200 songs and was recognized worldwide.